Thank you for your contributions this year to Daylight Center and School! Your gifts have helped Daylight to educate and grow the young leaders of Kenya, but Daylight continues to grow… Will you grow with Daylight? The vision for the future of Daylight is bright. We continue to serve 400+ students, support staff, and are a pillar of hope for the community. This year we are excited to open a high school, a clinic, and finish the dorms. These dreams are big, but we know that we can accomplish them with your help! It will take all the hard work, donations, prayers, and encouragement of our community, both in Kenya and the U.S., to support this dream in 2016. Carmen Barker Lemay went to Daylight with Lynnhurst Church and learned a lesson about how we do this work together. This is her story:“When I visited Daylight in July of this year, I was struck that whenever the younger children were outside, they had a very effective, and equitable, way of organizing themselves. 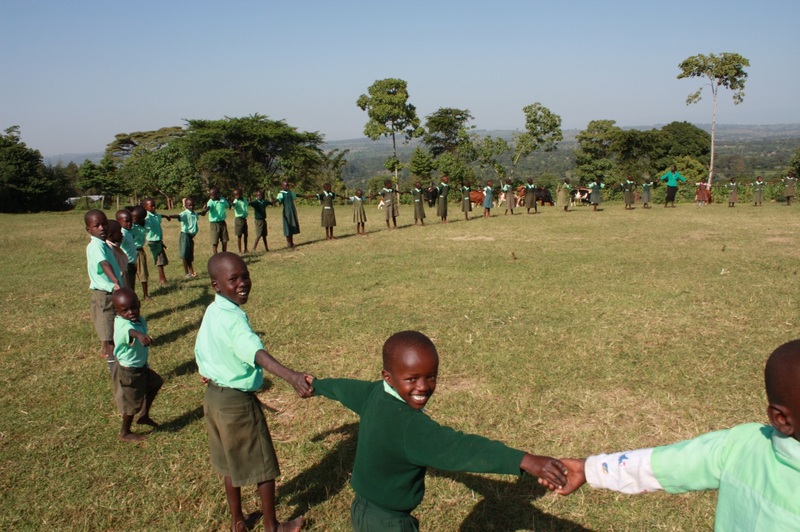 They would grab hands and begin to chant, “Make a circle….make a big circle,” while moving forward in a circle. As others heard the chanting, they’d come running, grab a hand as the circle kept growing larger. If I, or another Lynnhurst visitor appeared, we would be drawn into the circle, sometimes with 2-3 kids holding each hand. One was never too late, too young or too old, too anything, to be in the circle. Make a Pledge for the 2016 School year! 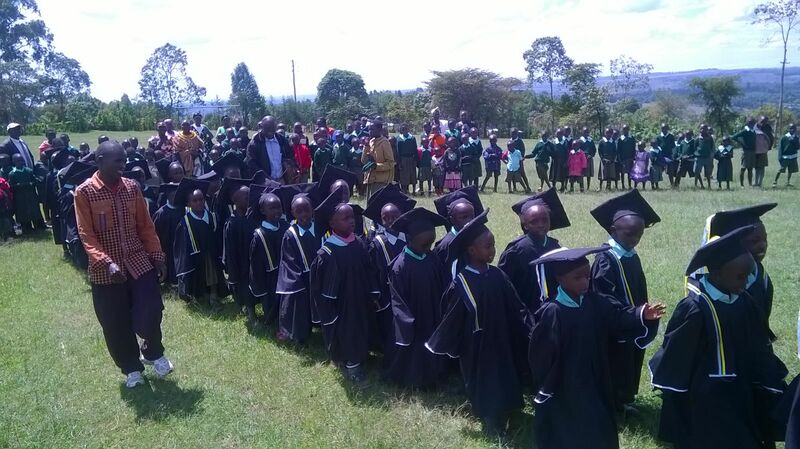 We had an another inspiring graduation ceremony for the over 40 Pre-School students who are getting ready for 1st grade in January 2016! 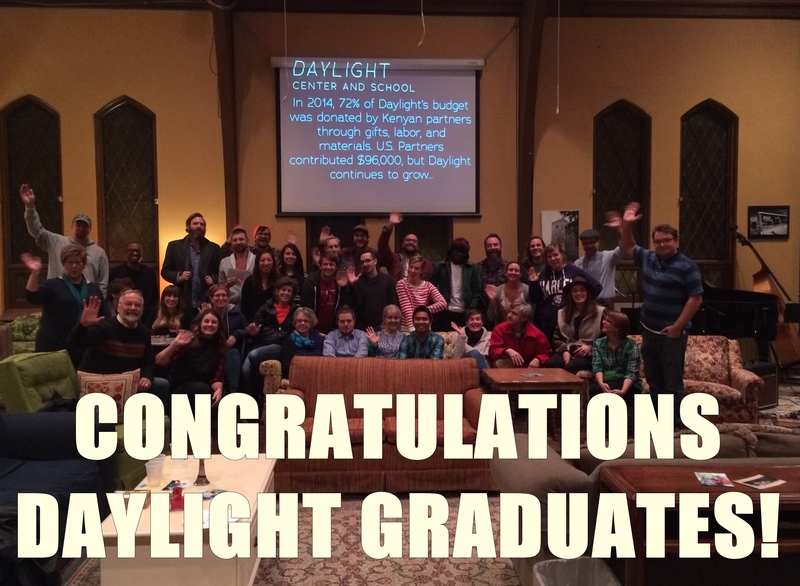 2016 is an especially exciting new school year because our first class of Daylight students are graduating 8th grade and going on to DAYLIGHT HIGH SCHOOL! They prepared this amazing video to tell the world about how they came to Daylight, why they love Daylight, and what they want to be when they grow up. And with these amazing role models our 1st grade class is sure to be another generation of leaders as well! On the other side of the world there was a benefit concert to raise support for Daylight and say: Thank you for being a part of this global partnership and helping make students’ dreams come true.